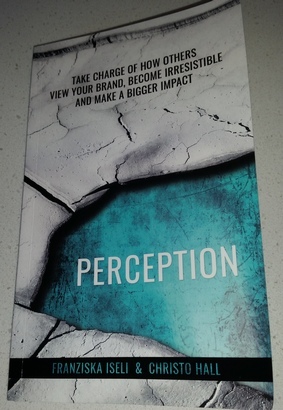 Having already read the first book by these authors I knew that when Perception was released I was in for another dose of quirkiness and great information. Written by marketing gurus Franziska Iseli and Christo Hall this book tackles the issue around perception when it comes to business and life. How does the outside world perceive what you do? Combining a mix of a series of fictional fun stories along with some very real tips on how to grow your business and make a bigger impact in the world, this book really hits the mark. Using stories to demonstrate the lessons in the book is a great way to engage the reader. You find that you keep on reading so that you can find out what is going to happen to your favourite character. I love this book and highly recommend it to anyone who has their own business or even if you are in the corporate world and you want to stand out from the crowd. The underlying message in this book is that it doesn’t matter how great you are if no one knows about you. To stand out from the crowd you have to be noticed for who you are and what you do. Great work Franziska and Christo, congratulations on another great book.